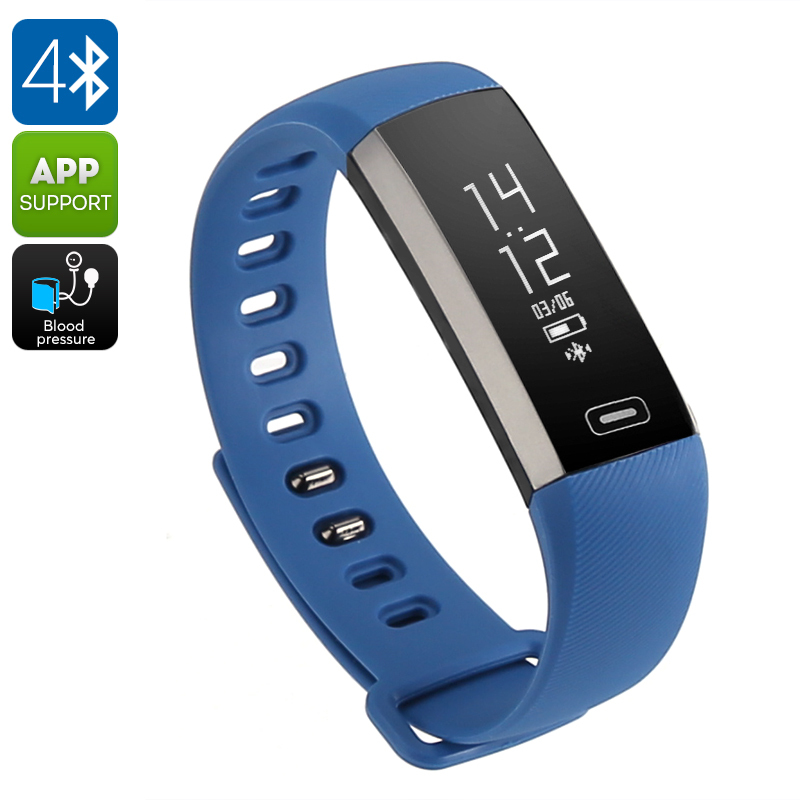 Successfully Added Fitness Tracker Bracelet M2S - Heart Rate, Pedometer, Calorie Counter, IP67, Blood Pressure, Blood Oxygen (Blue) to your Shopping Cart. The M2S fitness tracker bracelet is a stylish and waterproof fitness band that can be worn confidently at any occasion. The IP67 design this sports watch features makes it resistance against water, dust, and drops – allowing you to use it during your toughest workout sessions. Its sleek design and 0.86 Inch OLED display give this fitness tracker a high-end finish, allowing you to use it for spots but also as a casual wrist watch when going out. Packing an extra thin yet powerful 70mAh battery, this sports watch holds quite the power that gets you through numerous days of work out without needing to worry about running out of juice. Although small in size, this fitness band features a wide range of high-end smart health features that support you in reaching the fitness level of your dreams in no time. A sophisticated heart rate monitor keeps you constantly updated about your heart rate while blood pressure and oxygen level tests provide you with valuable information on which to adjust the intensity of your upcoming workout sessions. Additionally, it also features a pedometer that accurately informs you about the distance covered while sporting outside, as well as a calorie counter that easily shows you how much energy has been burned throughout your previous workout. With access to all this valuable health and fitness information, you’ll be able to accurately adjust the intensity of your upcoming sporting sessions in order to fully stimulate your muscle and stamina gain. Featuring Bluetooth 4.0, this fitness tracker bracelet can be efficiently paired with your iOS or Android smartphone. Coming with its own application, it provides you with the possibility to watch back and analyze previous workout reports and compare them with the ones made earlier to analyze your fitness progress. This smart sports bracelet furthermore supports message and incoming call reminder features – ensuring that you’ll never miss an important update again even while sporting outside.